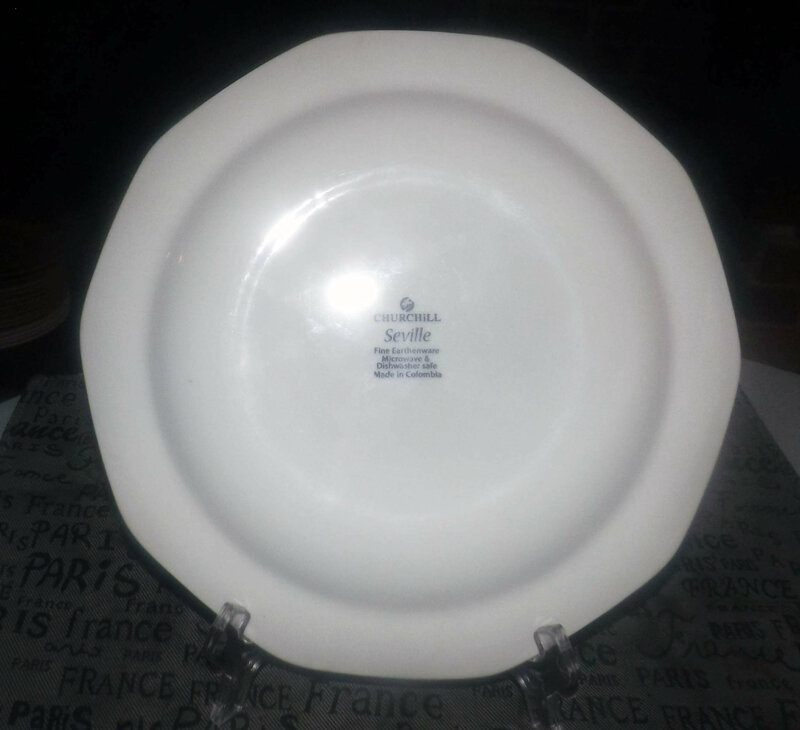 Vintage (1980s) Churchill China Seville pattern octagonal | multi-sided large dinner plate. Bright oranges and greenery, beaded border. 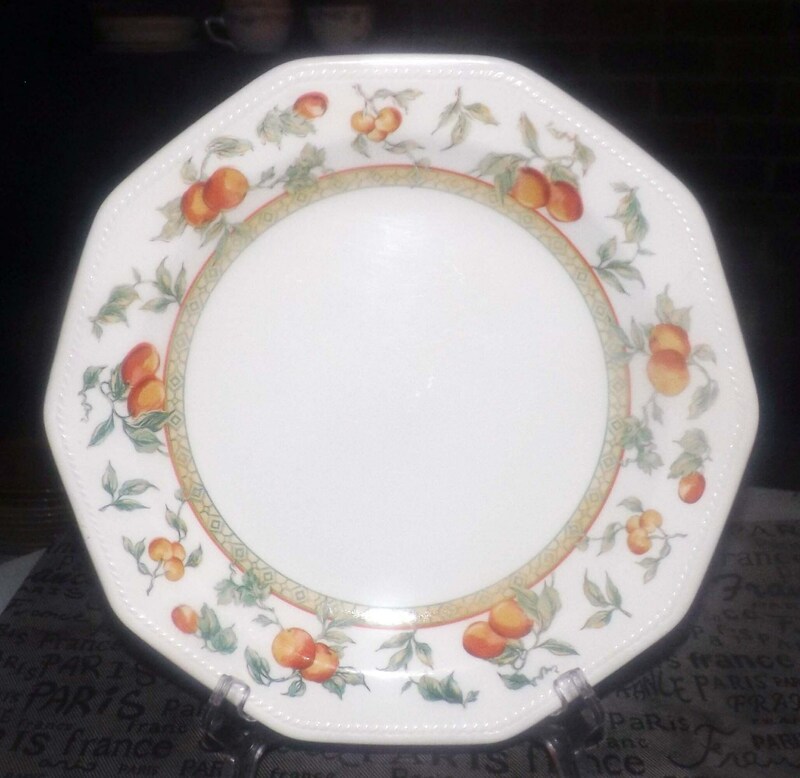 Vintage (1980s) Churchill China Seville pattern large, octagonal | multi-sided dinner plate. Made in Colombia, Seville is a very hard-to-find Churchill pattern featuring bright oranges and greenery with green diamonds on a yellow band and an beaded border band. 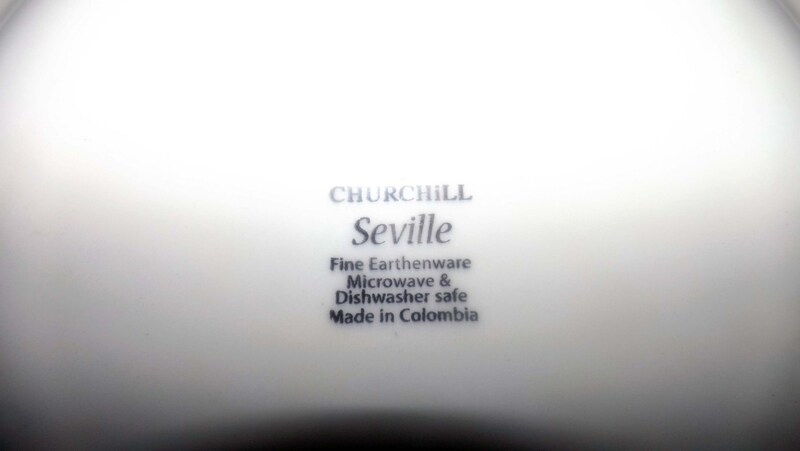 In EXCELLENT! and seemingly little-used condition with NO! chips, nicks, cracks or fleabites, NO! crazing and NO! marks or stains. The imagery is bright and vivid with NO! fading or wear apparent. Approximate measurements: 10-1/2" in diameter (measured edge to edge across the center) with an embossed border band.